The lodge is situated in the heart of an old hamlet at an altitude of 1600m, convenient to all the facilities of Sestriere (2035m). The 2006 Winter Olympics were held in the area, which led to substantial investment in the infrastructure for winter sports. The Olympic cross-country skiing course is two minutes’ walk from the house, and there is also a cross-country track that goes all the way through the beautiful Val Troncea National Park, the entrance to which is 200m from the house. A chairlift departs from the same spot and takes you up to 50km of beautiful and very sparsely populated downhill slopes, above the village, which provide the opportunity to ski tree lined pistes (or among the trees, if you fancy some off-piste skiing). These slopes are superb immediately following a fresh snowfall. 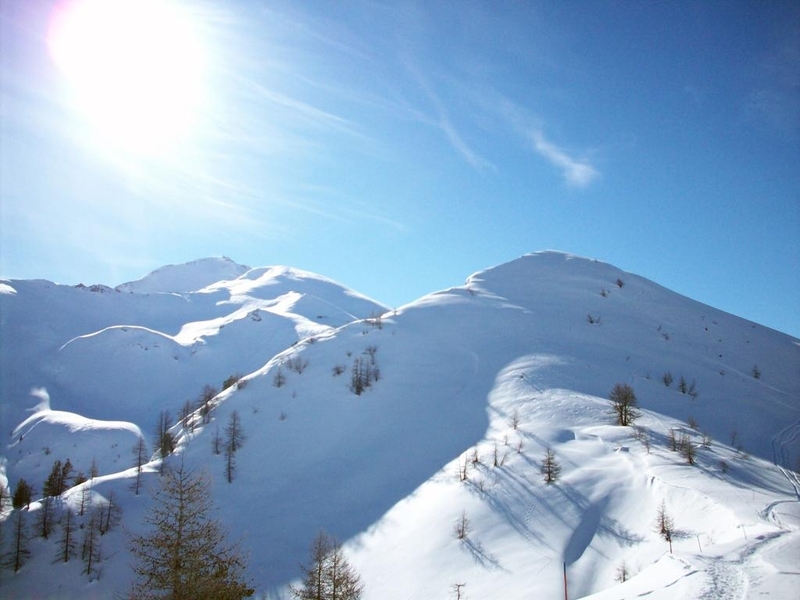 For more varied skiing take the cable car (100m from the lodge) to the heart of the 400km of pisted slopes that cover Cesana, Claviere, Sansicario, Sauze d’Oulx and Sestriere (plus Montgenevre on the French side of the border); collectively known as The Milky Way, or the Via Lattea. 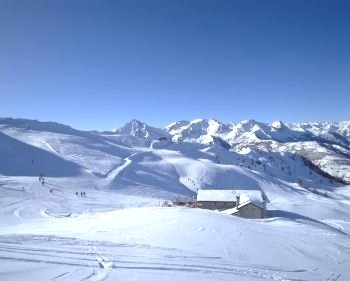 Here the slopes, which accommodate all levels of skiing, rise as high as 3280m include two Olympic downhill runs, 42 black runs, 118 red runs, 54 blue runs and 7 green runs. You can ski for days and never do the same run twice! For non-skiers, there is a lovely piste-side chalet close to the cable car’s upper station (2420m) which serves coffee, food, wine etc….and has a terrace which is a real sun trap. It is great for meeting up with the skiers for lunch. The village and local area have a number of great restaurants offering the full range of Italian cuisine and well-stocked wine lists including the local celebrities, Barolo and Barbaresco, among others. In summer, the valley in which the lodge is situated is a haven for outdoor activities: hiking and mountain biking in the National Park (including extreme uphill/downhill), horse riding, tennis and golf at a challenging course (first tee 2 minutes away from the lodge), angling in the rivers and lakes nearby and the opporunity to enjoy the area's excellent food and wine.